← How can I create high quality CIN from Word documents? How to convert rtf to tiff? You can convert rtf to tiff in a command line because the operation of command line is very easy and fast. The commands you need are only the called program, source file and target file or not(If you don’t define the target file,the source file will be converted to pdf file by default). But what kind of software you should choose and what are the steps of converting rtf to tiff? Don’t worry,HTML Converter Command Line can help you. You can download HTML Converter Command Line at the website http://www.verypdf.com/htmltools/htmltools.zip. 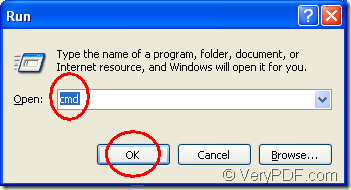 You will find it is a zip file when just been downloaded to your computer and you should unzip it to use. But the HTML Converter Command Line should be registered or the functions will be limited.The register steps are as follows. 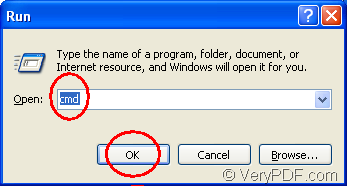 You can click “start”—“run” and input “cmd” in “open” edit box of the popup dialog box,then click “OK” button like Figure1 and Figure2.You can also use the hot key “Windows” + “R” to open the dialog showed in Figure2. 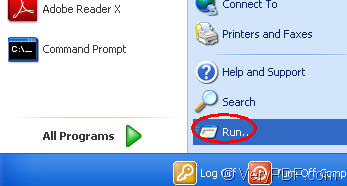 2.Change the current directory to the installation directory of HTML Converter Command Line in cmd.exe by the command “cd ”.Then input the register code you get when buying the software and click “Enter” button on the keyboard.Then you can use HTML Converter Command Line without any limitations. The content below are the steps to convert rtf to tiff. 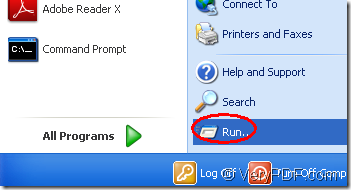 Step1.Run cmd.exe with the methods mentioned above. The command lines should include called program,source file and target file.Please see Figure3. "C:\Documents and Settings\admin\Local Settings\Temp\htmltools\htmltools.exe" is the path of called program—htmltools.exe.It is the most important role in the conversion of rtf to tiff. bells.tiff is the name of target file. NOTE: If you don’t specify the path of target file,it will be saved in current directory by default.Or the file will be saved in the location you have set. You can find your target file in current directory.Please see Figure4. You can see there are three files in the folder.Don’t doubt there is an error or something wrong.The content in source file are more than one page,so htmltools can separate them to several files automatically without any content loss.You can have a try according to this article. This entry was posted in HTML Converter (htmltools) and tagged rtf to tiff. Bookmark the permalink.